The Renegade is the most affordable entry into the Jeep lifestyle. For the money, it’s a well-equipped and capable SUV that offers enough Jeep DNA to take you wherever you need to go. Excellent abilities in city driving and the great outdoors make the Renegade a great option for your next SUV. There’s not a lot of production vehicles that can boast trail rated off road ability. There are even fewer subcompact SUVs that boast a trail rating. In fact, the Renegade Trailhawk is one of only two. So if you need an SUV that can handle its own on the city roads with the nimble qualities of a subcompact and some rugged off road traits for weekend escapes from the city, the Renegade is unparalleled. If you’re on a tight budget, the base Renegade starts a few thousand lower than nearly all of its competitors. However, that model is only available with a six-speed manual transmission, so it may be impractical for many. We think these Renegades offer excellent value by being true Jeeps that don’t break the budget. This little Jeep’s performance is largely a function of which model you choose. Lower trims with the six-speed manual and 1.4L MultiAir engines offer excellent fuel economy and are great for city driving. They aren’t as capable offroad as 4x4 models with the 2.4L MultiAir, but the do-it-yourself gearbox doesn’t suffer from the frustratingly slow shifts either. Since most will be doing most of their driving on road, the former makes a lot more practical sense. However, practicality isn’t the reason most Jeep drivers buy Jeeps. So most will opt for the latter. They should be forewarned that the 9-speed automatic transmission in these models is sluggish and may not provide the power you need when you need it. That being said, the Renegade is easy to drive and its size makes it nimble and sensible for city dwellers. The cabin is quiet and comfortable with easy to use controls. It’s driving dynamics aren’t especially inspired but when you consider its ability do things other SUVs can’t, you have to praise the Jeep’s performance. As far as budget subcompact SUVs go, the Renegade’s interior is stylish. It has plenty of nifty little details that make sure you’re aware it’s a Jeep. There are tasteful body color trim details a la Fiat 500x, though not quite as loud. The seating position is upright, allowing excellent legroom. However, many shorter than average drivers might find that the seat is too low and the seat cushion too long to find a comfortable position. That’s good news for taller drivers though, that may find this SUV quite comfortable despite its size. The Renegade’s design does create some large blindspots, we’d recommend the optional blindspot monitoring system. In the second row, there’s enough room for two adults to sit comfortably but three’s definitely a crowd. 18.5 cubic feet of cargo space behind the rear seats is average for the class, while 50.8 cubes with the seats folded is a bit better than most. The Uconnect infotainment system in most Renegade’s isn’t as good as some other FCA vehicles, the screen is small an unintuitive when compared with the 8.4in model. The Bluetooth does work well for both phone and streaming audio use. Unfortunately, the voice activated SMS system doesn’t support iPhones. The optional Beats audio system is well worth the money when compared with the lackluster stock system. The optional driver assistance features work well and are surprising to find in a vehicle at this price. The lane departure warning will sense if you’re swerving outside your lane and vibrate your seat and steering wheel to warn you. The forward-collision warning system will alert you when you get too close to a vehicle in front of you and even begin to apply the brakes and will fully apply the brakes at higher speeds when you press the pedal if it thinks a collision is imminent. The Renegade provides an excellent interior at a rather modest price, with safety technology that’s often unavailable in this subcompact SUV segment. The Jeep Renegade can most accurately be described as cute, despite its tough sounding name. It has a front end that is distinctly Jeep, with its 7 port grille flanked by circular headlamps that resemble the iconic Wrangler. The highest trim and limited edition models even receive red tow hooks to complete this impression. The side profile is clean with modern curves and body-matching colored door handles. The back features “X” shaped tail lights that we think look pretty unique. One of the coolest things about the Renegade’s exterior is the MySky roof panel system. It allows you to remove the panels for an authentic open air Jeep experience you’d expect from a much more expensive Wrangler. We rather like the looks of this mini sized Jeep, it certainly looks like a capable SUV. We acknowledge that exterior styling is a matter of personal preference so we’d love to know what you think in the comments below. The National Highways Safety Administration gives the Jeep Renegade 4 out of 5 stars in all crash test ratings and a 4-star overall rating. The front seats were well protected in the side collision but the rear passenger dummy experienced enough force to cause serious injury. The Insurance Institute for Highway Safety also crash tested the Renegade. A weak spot is the small overlap front test, which was done in 2015 and suspiciously hasn’t been done since, improving the Renegade’s ratings. Like the Ford Escape and Ford Edge, the video shows the dummy’s head makes contact with the front airbag briefly before sliding between the side and front airbag to make contact with the A pillar. The readings from the dummy did not indicate serious injury was caused, but there is potential for serious injury, especially if velocity is increased. On the plus side, the available collision prevention technology receives an “Advanced” rating, the second highest available. We think the Jeep Renegade is about as safe as most SUVs on the market, but there are higher rated subcompact crossovers like the Fiat 500x and Mazda CX-3. That stuff is pretty important. However, like the Fiat 500x that shares many of the same components, it seems it’s an all or nothing gamble. Either the specific vehicle is plagued with all sorts of problems or its rock solid. There are many more owners who claim to have had zero problems. So it appears there is some variance between vehicles. If you’re buying used, you better do your homework on the specific vehicle you’re looking at to see if it has suffered any of these problems or is subject to any of the recalls. Be warned that 2015-2016 models equipped with the trailering package have only one factory installed fastener and may fail. There’s an NHTSA recall for this issue, so the dealer will fix it free of charge. We’d recommend purchasing this vehicle new so that the manufacturer will be responsible for any of the aforementioned problem. If you’re going to buy used, make sure all service records are available so you can see if that Renegade has any of the above issues. The only other subcompact SUV with an off road bias is the Subaru Crosstrek. In many respects, the Subaru is more refined and more fun to drive. The legendary reliability and exceptional residual value make the Subaru a better buy. However, it doesn’t come cheap and the base Subaru will cost several thousand more than the Renegade. However, once you start moving up the trim levels, they cost about the same comparably equipped. Like the Jeep, it’s most advanced off roading abilities are only available when paired with an automatic transmission. The 13:1 steering ratio allows quicker steering and better handling dynamics. The Subaru gets better fuel economy than every other subcompact SUV. The Top trim Limited model feels more luxurious than the top trimmed Renegade. 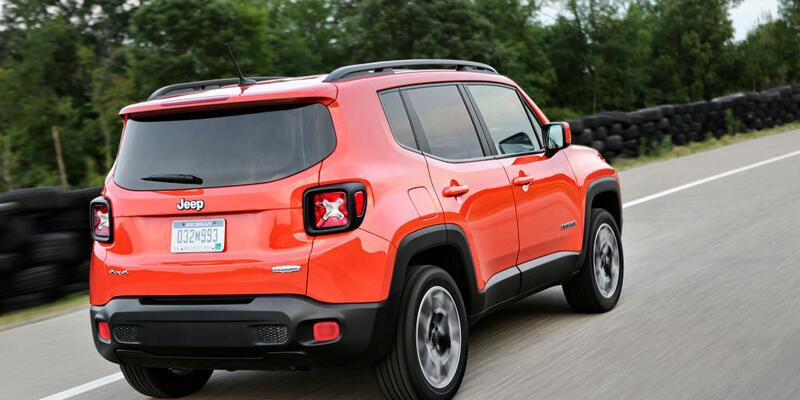 Some may prefer the Jeep’s aesthetics, and we’d have to agree the Renegade is more stylish. When it comes to functionality and practicality, the Subaru is a better buy in nearly every category. The Renegade Sport trim has an MSRP of $17,995 and arrives standard with a 1.4 Liter MultiAir turbo engine, keyless go push button start, 6-speed C635 manual transmission, 3.5 in driver information display. height adjustable rear cargo floor, power windows, silver shift knob, 16in styled steel wheels, all season tires, halogen headlamps with daytime running lamps, capless fuel fill, variable intermittent windshield wipers, rear window wiper, rear window defroster, hill start assist, tilt and telescopic column, driver knee airbag, electronic roll mitigation, Panic Brake Assist, and supplemental front seat-mounted side airbags. The 2.4 Liter MultiAir engine with 9-speed automatic transmission can be added for $1,330. A 5 inch UConnect system with satellite and back up camera can be added for $845. The $1,495 Power and Air Group adds air conditioning, heated exterior power mirrors, and speed control, Jeep’s original moniker for cruise control. The Sport Appearance Group costs $625 and adds 16 inch aluminum wheels with all season tires. The My Sky fixed removable roof panels can be added for $1,095. 4 Wheel Drive costs $2,000 extra. The $21,495 Latitude trim equips air conditioning, front seat back map pockets, leather-wrapped steering wheel, Remote USB port-charge only, ambient LED interior lighting, SiriusXM radio, 5.0 inch touchscreen display, 6 speaker audio system, GPS antenna, integrated voice command with Bluetooth, Uconnect 5.0, 16in aluminum wheels, black side roof rails, body color door handles, automatic headlamps, cornering fog lamps, deep tint sunscreen glass, exterior mirrors with heating element, body-color exterior mirrors, ParkView rear back up camera, and speed control. The 2.4 Liter MultiAir engine with 9-speed automatic transmission can be added for $1,530, $200 more than the lower trim. The Cold Weather Group provides all-season floor mats, heated front seats, a heated steering wheel, a windshield wiper de-icer, and rain sensitive windshield wipers for $645. The 6.5 Inch Navigation Group with Uconnect equips the 6.5-inch Uconnect system, 7.0 inch TFT color driver information display, GPS navigation, HD radio, remote USB port, 5 years of SiriusXM Traffic service, and 1 year of Uconnect Access for $1,345. The $995 Advanced Technology Group provides automatic high beam headlamp control, full speed forward collision warning plus, lane departure warning plus, and ParkSense rear park assist system. The Popular Equipment Group installs a 115-volt auxiliary power outlet, 40/20/20 rear seat with trunk pass through, dual zone automatic climate control, power 4-way driver lumbar adjust, power 8-way driver seat, and auto-dimming rear view mirror for $645. The $945 Safety & Security Group adds blind spot monitoring with cross path detection, High Intensity Discharge headlamps, rain sensitive windshield wipers, security alarm, and Tonneau cover. A Beats premium audio system is available for $695. The My Sky power retractable roof panels can be added for $1,495. 4 Wheel Drive costs $2,000 extra. The Altitude trim starts at $22,190 and a provides the Altitude Package, 18in gloss black wheels, wider all season tires, and exterior mirrors with turn signals. The 2.4 Liter MultiAir engine with 9-speed automatic transmission can be added for $1,530, and 4 Wheel Drive for $2,000. The Cold Weather Group provides all-season floor mats, heated front seats, a heated steering wheel, a windshield wiper de-icer, and rain sensitive windshield wipers for $645. The 6.5 Inch Navigation Group with Uconnect equips the 6.5-inch Uconnect system, 7.0 inch TFT color driver information display, GPS navigation, HD radio, remote USB port, 5 years of SiriusXM Traffic service, and 1 year of Uconnect Access for $1,345. The $995 Advanced Technology Group provides automatic high beam headlamp control, full speed forward collision warning plus, lane departure warning plus, and ParkSense rear park assist system. The Popular Equipment Group installs a 115-volt auxiliary power outlet, 40/20/20 rear seat with trunk pass through, dual zone automatic climate control, power 4-way driver lumbar adjust, power 8-way driver seat, and auto-dimming rear view mirror for $645. The $945 Safety & Security Group adds blind spot monitoring with cross path detection, High Intensity Discharge headlamps, rain sensitive windshield wipers, security alarm, and Tonneau cover. The My Sky power retractable roof panels can be added for $1,495. A Beats premium audio system is available for $695. The $25,195 Limited trim installs a larger 2.4 Liter MultiAir inline 4 cylinder engine, a 9-speed 948TE automatic transmission, a 3.734 final drive ratio, 40/20/20 rear seat with trunk pass through, heated front seats, leather-trimmed bucket seats, 4-way power lumbar adjust, power driver’s seat, 115 volt auxiliary power outlet, a/c auto temperature control with dual zone control, auto-dimming rear view mirror, heated steering wheel, 18in aluminum wheels, black painted roof, bright side roof rails, power heated mirrors, rain sensitive windshield wipers, windshield wiper de-icer, bright exhaust tip, bright exterior mirrors, passive entry with keyless go, and remote start system. 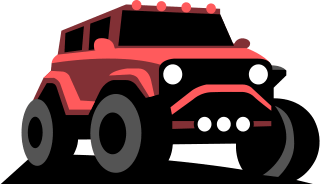 The Renegade Trailhawk starts at $26,895 with a trail rating and includes active drive low, rock mode, Selec-Terrain Traction Management System, and red tow hooks. The Premium Trailhawk Group adds the 40/20/20 seat with trunk pass through, dual zone automatic climate control, heated front seats, heated steering wheel, luxury leather-trimmed bucket seats, power 4-way driver lumbar adjust, power 8-way driver seat, auto-dimming rear view mirror, and windshield wiper de-icer for $1,605. The $895 Safety & Security Group adds blind spot monitoring with cross path detection, High Intensity Discharge headlamps, security alarm, and Tonneau cover. The Popular Equipment Group installs a 115-volt auxiliary power outlet, 40/20/20 rear seat with trunk pass through, dual zone automatic climate control, power 4-way driver lumbar adjust, power 8-way driver seat, and auto-dimming rear view mirror for $645. The 6.5 Inch Navigation Group with Uconnect equips the 6.5 inch Uconnect system, 7.0 inch TFT color driver information display, GPS navigation, HD radio, remote USB port, 5 years of SiriusXM Traffic service, and 1 year of Uconnect Access for $1,245. The My Sky power retractable roof panels can be purchased for $1,495. Beats Premium Audio is an additional $695. The limited edition Desert Hawk adds off-road rock rails, a hood decal, distinctive “DESERTHAWK” embroidered seats with map details, 17in matte black wheels, and bronze Moroccan sun interior accents for $28,390. The 6.5 Inch Navigation Group with Uconnect provides the 6.5 inch Uconnect system, 7.0 inch TFT color driver information display, GPS navigation, HD radio, remote USB port, 5 years of SiriusXM Traffic service, and 1 year of Uconnect Access for $1,245. The My Sky power retractable roof panels can be purchased for $1,495. The $895 Safety & Security Group adds blind spot monitoring with cross path detection, High Intensity Discharge headlamps, security alarm, and Tonneau cover. The Cold Weather Group II adds heated front seats, heated steering wheel, and windshield wiper de-icer for $545. Beats Premium Audio is an additional $695.